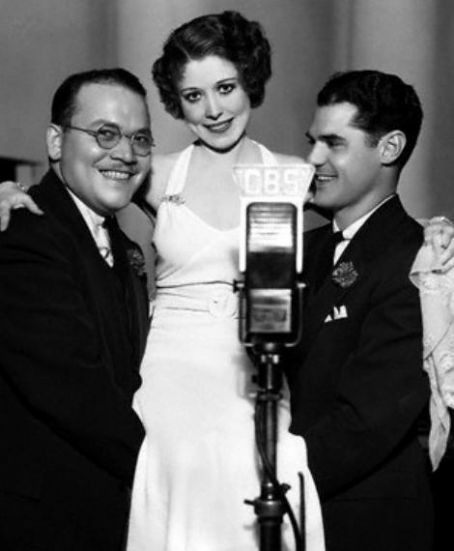 Catherine Annette Hanshaw (October 18, 1901 – March 13, 1985) was one of the first popular female jazz singers. In the late 1920s she ranked alongside Ethel Waters, Bessie Smith and the Boswell Sisters. Her short-lived recording career produced upwards to 250 sides. 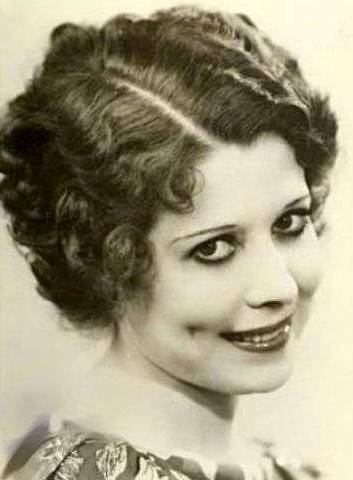 Annette was often confused for the voice of Betty Boop - singer Helen Kane. This petite, shy, introverted girl chose retirement over fame. It is said that she was more comfortable in the recording studio amongst the musicians than public appearances. Unlike most performers of the day, Annette never toured or performed on stage after becoming famous. For many years it was believed that Annette had been born in 1910 and began her recording career shortly before her 16th birthday. 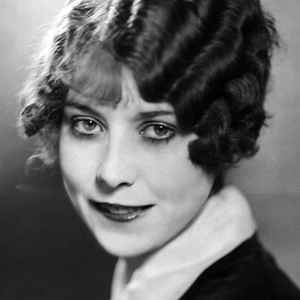 However, it has recently come to light that she was in fact born nine years earlier, making her 24 at the time of her first commercial recording in September 1926. Her nephew, Frank W. Hanshaw III, has confirmed 1901 as the date on her birth certificate. Her singing style was relaxed and suited to the new jazz-influenced pop music of the late 1920s. Although she had a low opinion of her own singing, she continued to have fans because she combined the voice of an ingenue with the spirit of a flapper. Hanshaw was known as "The Personality Girl," and her trademark was saying "That's all," in a childish voice at the end of many of her records. Catherine Annette Hanshaw was born at her parent's residence in Manhattan on October 18, 1901. She sang for guests at hotels owned by her father and demoed sheet music at her family's music store, The Melody Shop, in Mount Kisco, New York. Hanshaw aspired to be a portrait painter, studying at the National School of Design for a year. Her professional music career started when she was paid to sing for society and birthday parties. She started singing in 1926 on local radio a couple of known times while visiting in Florida with her family prior to making her first recording. Her first commercial recordings “Black Bottom” and “Six Feet of Papa” were made in New York on September of the same year. 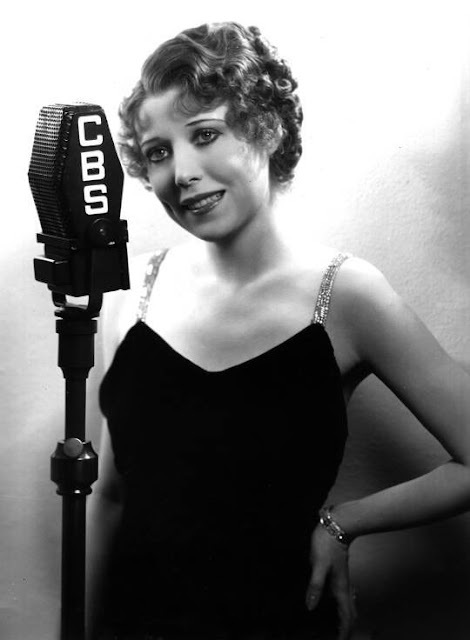 Between September 1926 and February 1934, she recorded prolifically. From 1926–28 she recorded for Pathe (her sides were released on both the Pathe and Perfect labels). Starting in June 1928, she recorded for Columbia; most of these were issued on their dime store labels Harmony, Diva, Clarion and Velvet Tone. A handful were also released on their regular price Columbia and OKeh. Although most were released under her own name, she was renamed Gay Ellis (for sentimental numbers) and Dot Dare or Patsy Young (for her Helen Kane impersonations). Hanshaw's singing style was relaxed and suited to the jazz-influenced pop music of the late 1920s and early 1930s. She combined the voice of an ingénue with the spirit of a flapper. She recorded under a number of other pseudonyms which included Ethel Bingham, Marion Lee, Janet Shaw, and Lelia Sandford. Starting in August 1932, she began recording for the ARC with her recordings issued on their Melotone, Perfect, Conqueror, Oriole and Romeo. 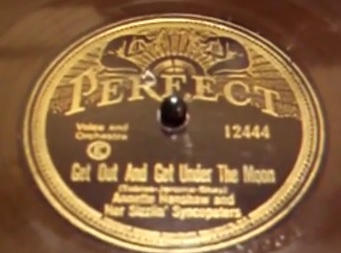 Her final session, February 3, 1934 was placed on ARC's Vocalion label. 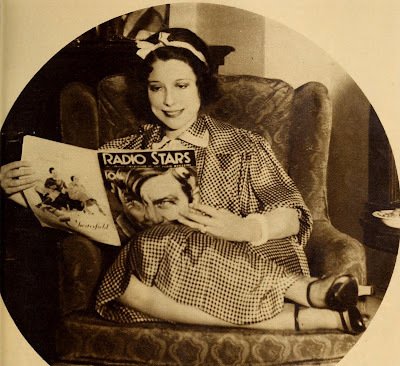 Hanshaw made her one and only appearance on film in the 1933 Paramount short Captain Henry's Radio Show, "a picturization" of the popular Thursday evening radio program Maxwell House Show Boat, in which she starred from 1932 to 1934. Having grown tired of show business, in the late 1930s Hanshaw retired and settled into married life with her husband, Pathé Records executive Herman "Wally" Rose. Later in life, in a would-be comeback, she recorded two demo records, but they were never released. During the 1970's Annette appeared on a Canadian Broadcast Company radio show called "The Entertainers". The show featured reminisces from famous Columbia recording producer John Hammond, well-known Jazz historian Brian Rust, and some others who knew Annette during her heyday. Several of Annette's songs were played and Annette spoke of the various periods in her life. 12. Who-oo? You-oo, That's Who! 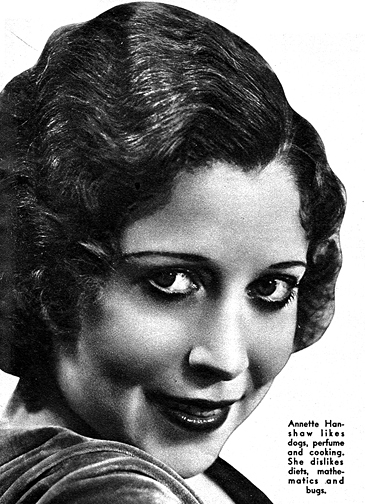 Annette Hanshaw, along with Ruth Etting was one of the major female singers of the 1920's. This particular disc, has a great selection of songs, beginning with a few from 1926, including the very popular 1920's song "Black Bottom", running through selections from 1927, rounding off with a few in 1928. Taken the date of these tracks, the sound quality of these recordings are brilliant. So if you want to hear Annette Hanshaw, backed by some fine musicians, and ending most of the songs with her catchphrase "That's All", then is the one for you. Highly recommended. Like wow! I can't wait... I am guessing that a couple of my recent favorites on the "retro" side of things model their work on Anette Hanshaw... who I never heard of 'til this very moment. Thank You!! I've loved Annette Hanshaw for 10 years, more or less, since her old records were used for the soundtrack of Sita Sings The Blues (easy to find and free to download or stream). Thanks for keeping her recordings alive. Happy Birthday. Thanks for this, and all your great music! Hello Texas Knight! Yes I do know of Lee Morse and due to your comment I will be posting a "Vaults" article about this great singer-songwriter and actress on her birthday 30th November...so watch this space. Coops due to work commitments I couldn't post Lee Morse on the day, but do not despair come back in 12 months time.